Counterfeit medicines are often detected by measuring levels of the active pharmaceutical ingredient (API), but attention should also be paid to secondary constituents, say researchers. 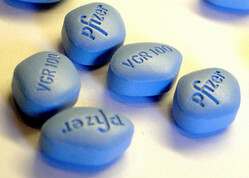 The team from Belgium used a technique known as headspace-gas chromatography to examine levels of residual solvents in samples of two widely-copied erectile dysfunction (ED) drugs - Pfizer's Viagra (sildenafil) and Eli Lilly's Cialis (tadalafil) - to create a "fingerprint" of samples that could be compared to authentic product. Using various chemometric analyses, the scientists were able to show that the approach was 100 per cent effective in distinguishing genuine product from counterfeits donated by the Federal Agency for Medicines and Health Products (FAMHP) in Belgium. Aside from helping to identify counterfeits, the levels of residual solvents can also be used to gauge the potential harm posed to public health from a counterfeit, as well as to differentiate between different counterfeits of the same product. "Up to now, the risk evaluation of counterfeit medicines comprises mainly the identification and quantification of the active substances present, while potential toxic secondary components, such as impurities, are not explored," write the authors. "This implies that, if the identity and dosage of the active ingredients are correct, a counterfeit medicine can be evaluated as relatively safe, while in actual fact the presence of secondary components might cause serious health problems," they add. The research is published in Talanta (Volume 123, June 2014, Pages 78–88).